Sony Xperia C which was creating huge buzz now goes official in India. 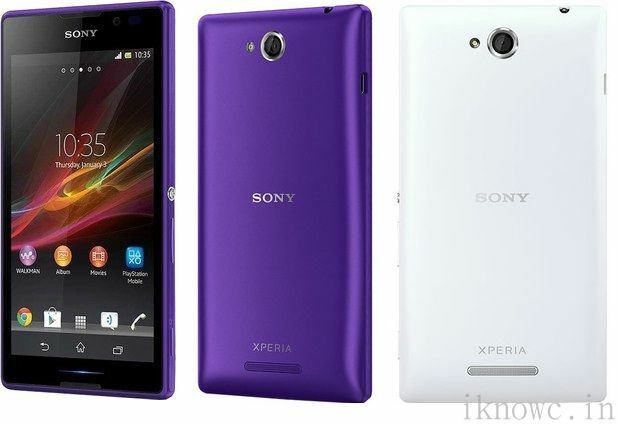 Sony Xperia C comes with some nice specifications, but all that comes at a Price of RS 21500. The phone has 5 inch qHD capcitive touch screen display, 1.2GHz MediaTek MT6589 quad core processor and 1GB of RAM. It also features a LED notifications LED just below the screen and has Dual SIM support. Considering the Price of Xperia C it will compete with recently arrived Gionee Elife E6, Intex Aqua i7, Micromax Canvas 4 A210 and Sony Xperia M.
The Sony Xperia C comes in Black, White and Purple colors, with 1GB of free internet DATA per month for 2 months for Airtel users and comes with accidental damage cover for 6 months. The handset is priced at RS. 21,500 (MRP). You can purchase it from Flipkart.